This is my most recently finished quilt, I think I currently have 4-5 quilts in progress, but yes I got this finished. I have to admit that quilting is my least favorite part of making a quilt, ironic I know, and consequently I'm not very good at it or I should say I value efficiency over technique. 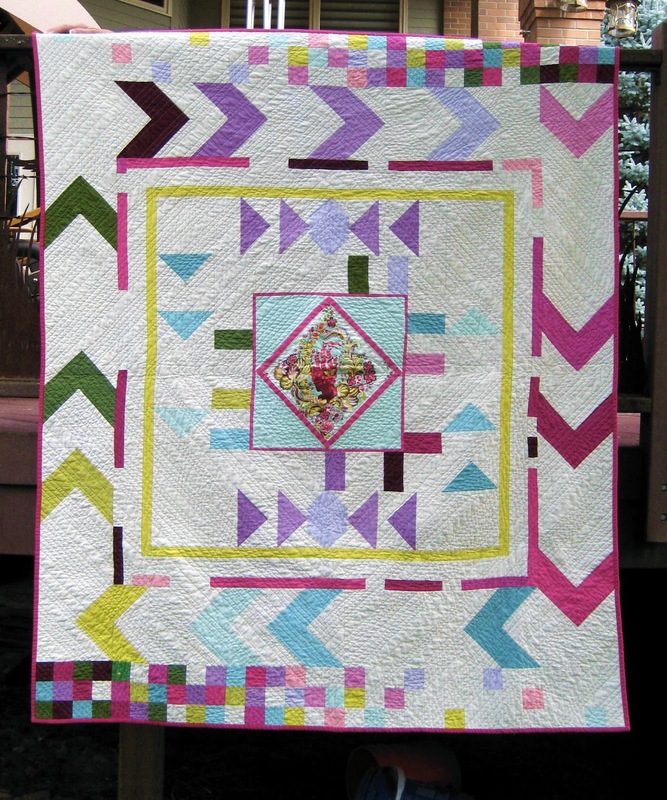 I had two goals this year, one was to do a quilt with the blocks on point (I did that using a pattern and carried my new technique over to the center medallion here) and two, to do a quilt using curve piecing, also accomplished. 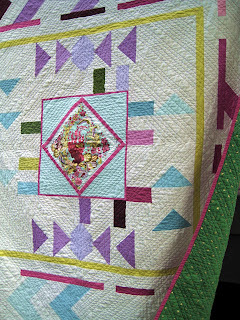 I have one quilt in progress and a finished quilt for the MQG Riley Blake challenge. I'm thinking my next goal should be to work on and enjoy quilting my quilts. Back to the quilt, I love all the medallion quilts being posted recently and here's my version. 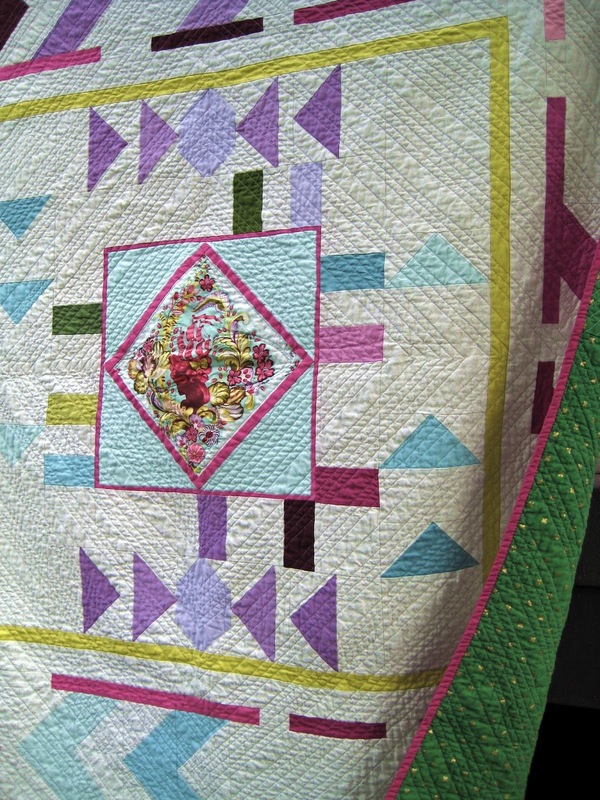 I had Tula Pinks Parisville cameo fabric in my stash and have really treasured it. I think this was a good use of the fabric without using it all up. Here's a peak at the back from Cotton + Steel basics. 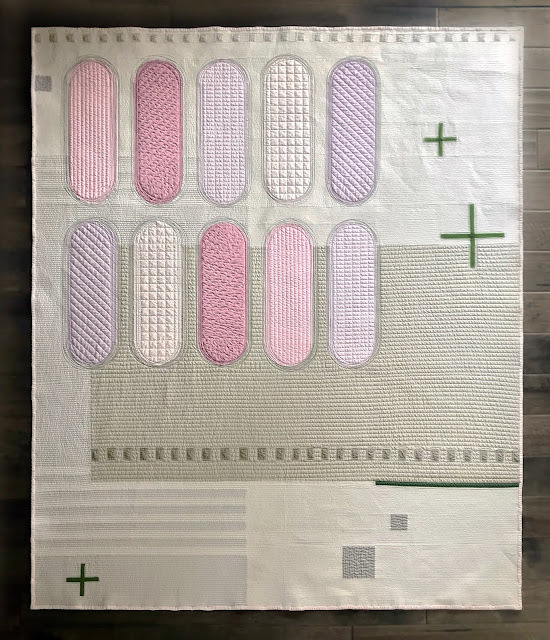 The quilt is 60" x 72". 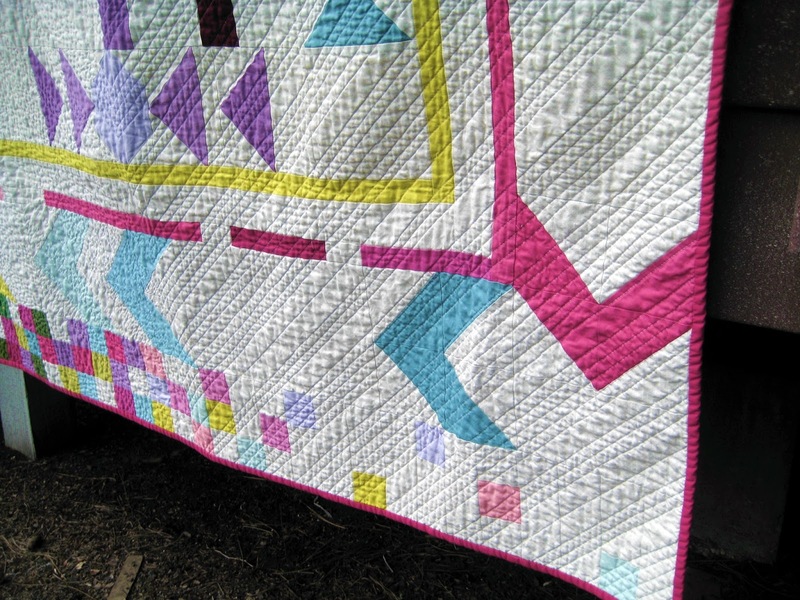 This is a close up of the quilting for this project, yeah walking foot!